The Team at the Firm has a wide range of background and experience which helps in holistic thinking and delivering quality solutions. The team has worked across practices, industries and jurisdictions. Mr. Debashis Khettry has been an integral part of the Firm since the age of 17. He was formally inducted in 1983 after his enrolment at the bar. 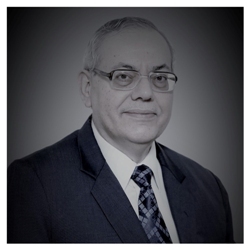 With about 40 years of extensive experience, Mr. Khettry’s areas of practice include corporate law; disputes resolution – litigation, arbitration, mediation; commercial contracts; property law; maritime law; trusts; taxation; and estate planning. Mr. Khettry has been instrumental in resolving many corporate and long-standing business family disputes. He has advised on taxation issues in relation to complex business structures. He has also advised in many corporate takeovers across various sectors and successful revival of sick companies. In addition, he has been appointed as the Special Officer by the Hon’ble Calcutta High Court in numerous instances. He is an advocate-on-record of the Hon’ble Supreme Court of India and an arbitrator registered with the Indian Council of Arbitration (a leading arbitral institution under the initiatives of the Government of India and FICCI). He is also a principal member of the Mediation and Conciliation Network, a global conflict management and resolution organization. He is a founding member and life trustee of the Supreme Court Advocates-on-Record Welfare Trust (a public charitable trust for the welfare of advocates of the Hon’ble Supreme Court of India). He is also the editor of the journal of the Supreme Court Advocates-on-Record Association. An alumnus of St. Xavier’s, Calcutta (gold medallist), he is also involved in pro-bono initiatives and supporting organisations including an eye hospital in Chennai. His personal interest includes gaining knowledge of world cultures and historical events. Debanshu Khettry is a fourth-generation lawyer. At the Firm, he focusses on corporate law, commercial contracts, corporate finance and banking law, securities law, property law, and legal due diligence. Debanshu has catered to international clients looking to do business or having business in India through his association with a reputed and one of the best law firms in New Delhi. He has assisted in negotiation and documentation of various inbound investments in India. 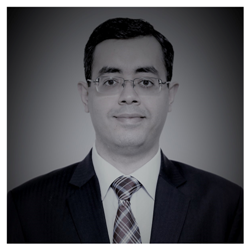 He has experience in legal due diligence of businesses in various sectors including infrastructure, e-commerce, FMCG, biotechnology, and education. In addition, he regularly advises corporates, sporting bodies, and individuals on issues relating to commercial law and property law. He attained LLM with distinction from University College London. He graduated from National University of Juridical Sciences, Kolkata (gold medallist). He gained wide experience through over a dozen internships in some of the biggest law firms in India; judges of Hon’ble Supreme Court of India and Hon’ble Delhi High Court; eminent lawyers and Members of Parliament; office of additional solicitor general and NGOs. His contribution in all these places was highly appreciated. Debanshu co-founded P-PIL, with Dr. (Prof.) Shamnad Basheer, to promote practical advocacy among law students. His extensive empirical research on the constitutionality of a statutory tribunal in India was endorsed by a former High Court Judge. He is a founding member of IDIA (established to promote diversity in law schools by training the deprived) where his co-authored policy paper was accepted by the CLAT Committee. His other initiatives include being the founding executive editor of Journal of Telecommunication and Broadcasting Law (first of its kind refereed journal); co-founder of SILC (India’s first standard legal citation system); and co-founder of Lawctopus (a leading website for law students). His articles have been published in refereed international journals and his research has been cited in various books and articles. He also takes a keen interest in developments in the financial markets.